Happy New Year, indeed! I got a head start on filming for the YBC® YouTube channel and first up for this year I've got a 45 minute yin yoga practice. For this practice, props are imperative. 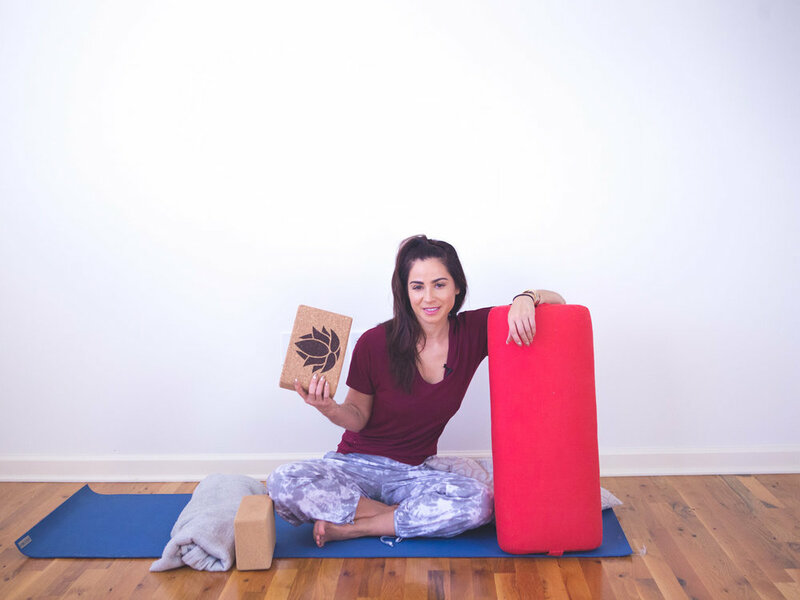 If you have a bolster, some yoga blocks, and a yoga blanket, then you're all set for this! If you don't have the props, don't stress. Just look around your house and find some makeshift props. Yin yoga is a very, very slow practice. In this practice, we'll hold each pose for about four minutes or so. It's a great practice for developing flexibility and decreasing stress. Give it a try and let me know how it goes for you down in the comments section below!